Resuscitation! is the award-winning virtual patient simulator that makes learning medicine addictive! 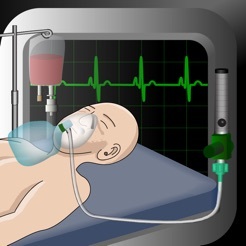 Resuscitation gives you a case presentation of a patient who is ill, and you play the role of the health care provider. You are in control and can take a history, perform a physical exam, develop a differential diagnosis and administer therapy to treat the patient’s underlying problem. You can place the patient on a monitor, start IV’s, perform procedures, administer medications, obtain radiology studies, EKGs, and a LOT more. Resuscitation! 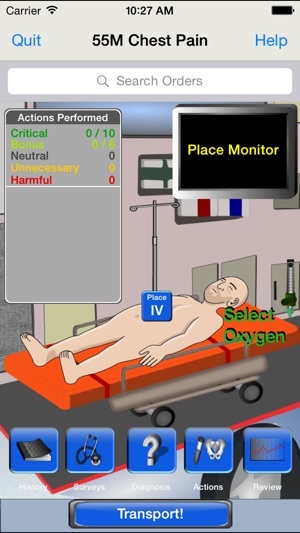 is a very technical medical simulator and is designed mainly for health students and professionals who are interested in learning patient care. It is used by medical schools and residencies across the Unites States and has won multiple innovation awards. Resuscitation! has been played over 2 million times by tens of thousands of engaged learners. Resuscitation! may be too advanced for you if you have no medical or clinical experience. There are free cases; if you enjoy the free cases, there are many additional cases that you can purchase. 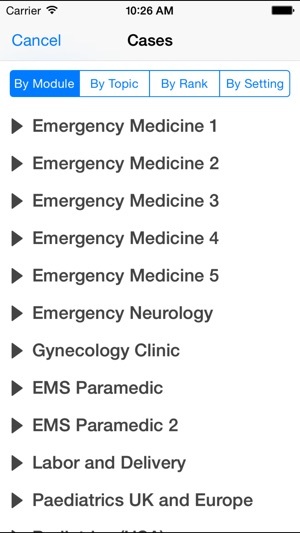 Topics include emergency medicine, EMS/Paramedic, emergency neurology, gynecology clinic, labor and delivery and pediatrics for UK and Europe users! Your support is appreciated and will allow us to continue making fun and educational cases. Awesome app, reasonable price for additional cases. thanks! This is by far the most addicting learning tool for medicine I have come across. 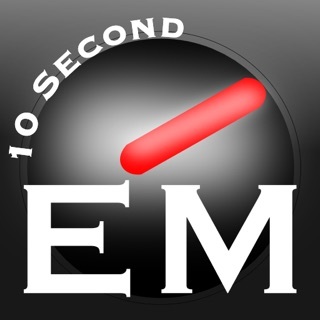 I am headed into EM, and I find these cases to be realistic and well researched, certainly on par with the typical case-based study guides available for purchase. Definitely bread and butter stuff here. I hope that in the future the app 1. integrates patient status changes as the user manages the patient- including improvements in VS and decompensation that requires immediate action and 2. Has the user read radiology studies and perform u/s and procedures for bonus points (with the option to get a final/ official read). I am also curious to see whether the cases are updated as criteria and management standards continue to evolve. 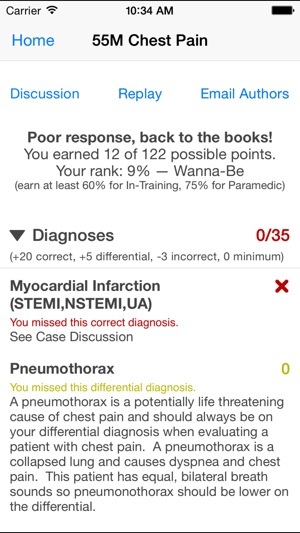 I am a nursing student who wants to work in critical care; I stumbled upon this app and love it already you can learn a lot from it. They have the right idea; I hope that in the future versions they can have cases by topics; many of them :) and other little things like for example when you pick a Dx or some order it will be useful to have the name written out as it is but also have the medical abbreviation next to it that way us students could learn it by seeing it more etc. Live changing scenario is would also be a bonus; overall his app is great ! I stumbled across this app a couple weeks ago while looking for a tutoring app and decided to check it out. I played a couple ER scenarios and thought this would be good if it had one for EMS because I don't know blood draws and tests the game was asking for. I looked through the menu and found EMS Paramedic 1&2, I tried the free scenarios and I was hooked, I purchased the add-ons right there. This has been a big help with algorithms and preparation for NREMT. I'd love to give this app five stars but for that I wish they would update and add more scenarios that I'd gladly pay for. 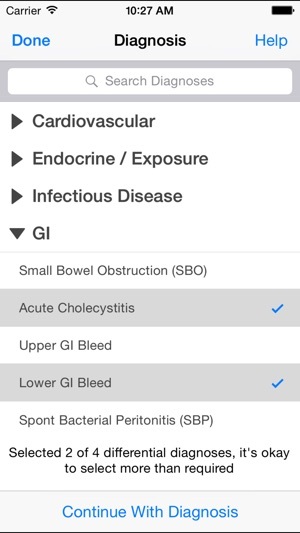 I do recommend this app for all health care workers!! !